Good news! The team are all safely checked in at Blantyre airport and should be on their way home to you soon! 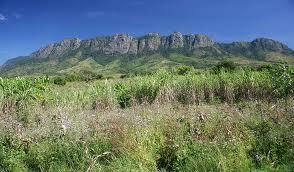 So, the group had a beautiful walk on Zomba Plateau today. They went to Maria falls and then on to the spectacular Williams Fall. They then took the bus back to Fisherman's Rest where they had a lovely lunch. 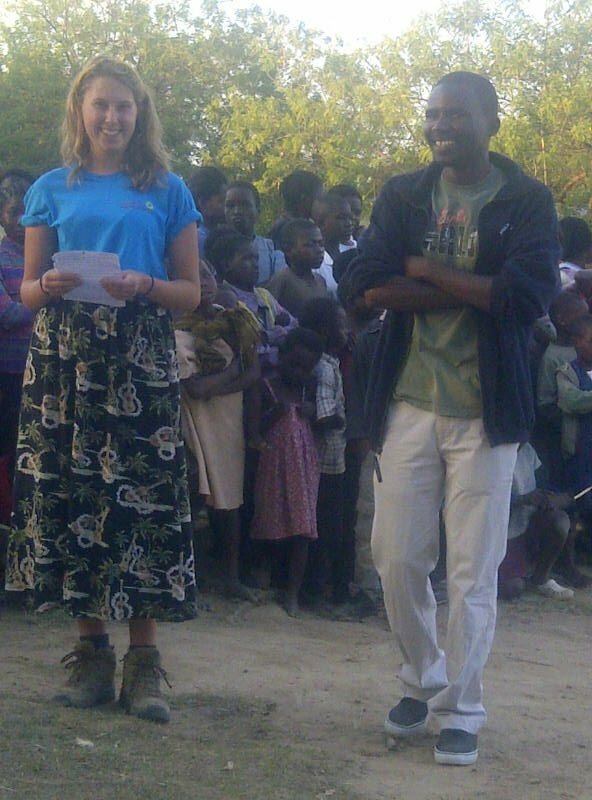 Sylvia and Chimwemwe from Joshua stopped by for a final farewell and the girls watched their last Malawian sunset. They enjoyed a hot shower and a slap up final dinner, follwed by a treat of hot chocolate. Finally their Inspire leaders Ross and Rosa led an awards ceremony and there was a lovely heartfelt poem by Alice and Georgie. Goodbye presents were exchanged and all of this was topped off by a rap by the teachers - which was hilarious! Everyone is now in bed and ready for an early start to get to the airport. Yesterday the team woke up bright and early at Mvuu to a cooked breakfast and then went on an amazing 4x4 safari. 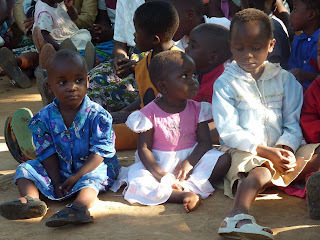 They saw lots, including elephants (with babies!) monkeys, baboons, kudu and lots of birds. It was beautiful. They then headed to the Zomba Plateau where they pitched their tents - Katy St Clair being the pro! - at the serene Zomba Trout Farm, before being treated to a 5 course buffet at Ku Chawe Inn on the plateau. The buffet included meat, much to the girls' delight! It's quite cold in Zomba at night, so the girls were all wrapped up around the camp fire last night and are off for their trek to look out over the valley below this morning. After some sad farewells and a few tears this morning, the team departed for Liwonde National Park. They took in the sunset on their boat safari and also saw a whole family of elephants, crocodiles, kingfishers and more! Once the sun had set they spotted Venus and were visited by a fire fly that landed in Maddie's hair! They have just sat down for dinner by the camp fire. The girls have already danced around the fire and are now being treated to some traditional dancing! They are looking forward to some stargazing and their game drive tomorrow morning! Yesterday the girls completed the stage and were very pleased with their work. In the morning a group visited the feeding centre, which was lots of fun, and attended by LOTS of children! 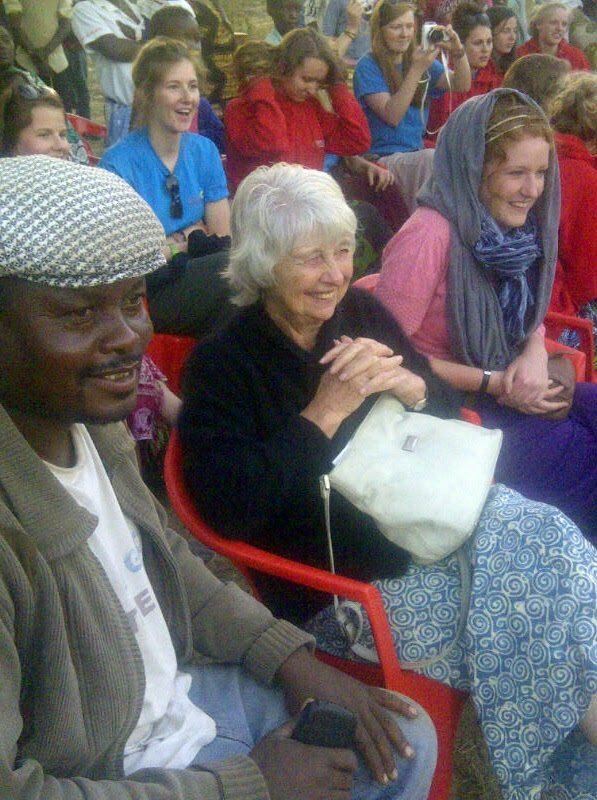 This was followed by a bag packing session and a visit from Joshua Orphan & Community Care founder Winnie. The girls asked lots of questions and learnt more about the history of the charity, and the community. 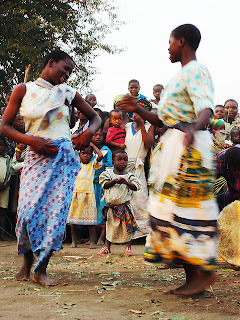 In the afternoon there was a closing ceremony in the village where the girls showed off their dancing skills and performed the play they had been rehearsing on raising awareness of teenage pregnancy and HIV/AIDS. This was interactive, with the audience being asked what they thought the characters should do. Finally, the team had an emotional farewell dinner with guests from the community. Everyone got very emotional as Gani, a Joshua staff member who had been working with the team, read a poem. Following dinner the girls set up a makeshift cinema using Maria's camera with projector, and showed some of the videos from their time on the community. 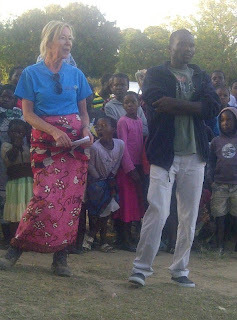 They said their last goodbyes this morning and are now on their way to Liwonde National Park for a well deserved safari! The team were back on site today. Maddie, Katie Cooper, Miranda and Lexi visited the clinic for the group's last visit there. 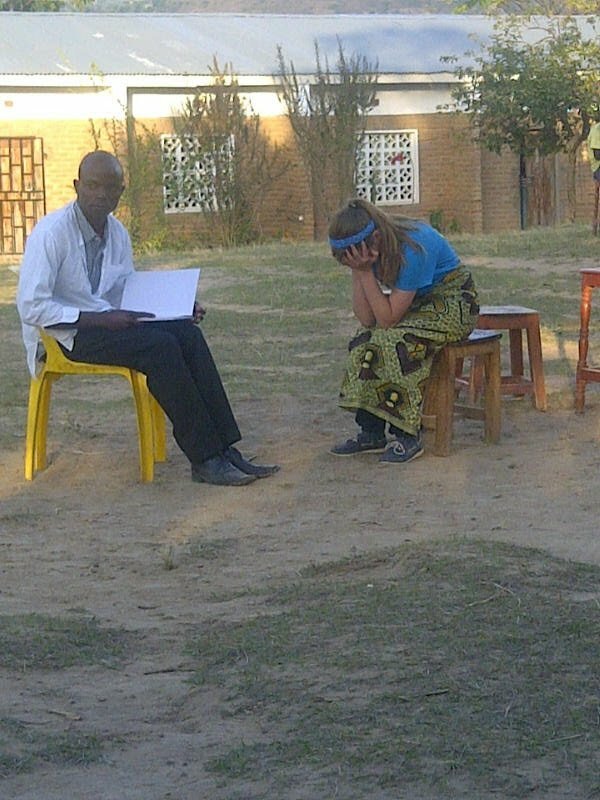 Maddie sat with the doctor and everybody learnt a lot. They thanked the staff at the clinic for having them there and teaching the group about what they do there. The girls definitely learnt a lot about the common health issues in the Pensulo community. 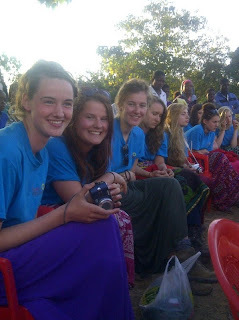 On site, the girls have nearly finished the stage and are looking forward to showing it off at the handover ceremony! In the afternoon, the last group of girls visited the knitting group with Rosa and had a great time. The women had explained earlier that they struggle to get wool, so the group bought lots of wool and gave it to them as a gift to say thank you for welcoming them and teaching them to knit. Many of the women care for orphans and this will help them to continue to knit and sell clothes in order to provide for them. Finally the girls had a drama rehearsal, which was coming along nicely ready for the leaving party today. Yesterday the girls had a nice relaxing day to recover from all of their hard work! They attended a local church service in the morning - which Georgie and Lexi were very touched by. The whole team sang 'He's got the whole world in his hands', with Alice finishing off with an impressive solo. 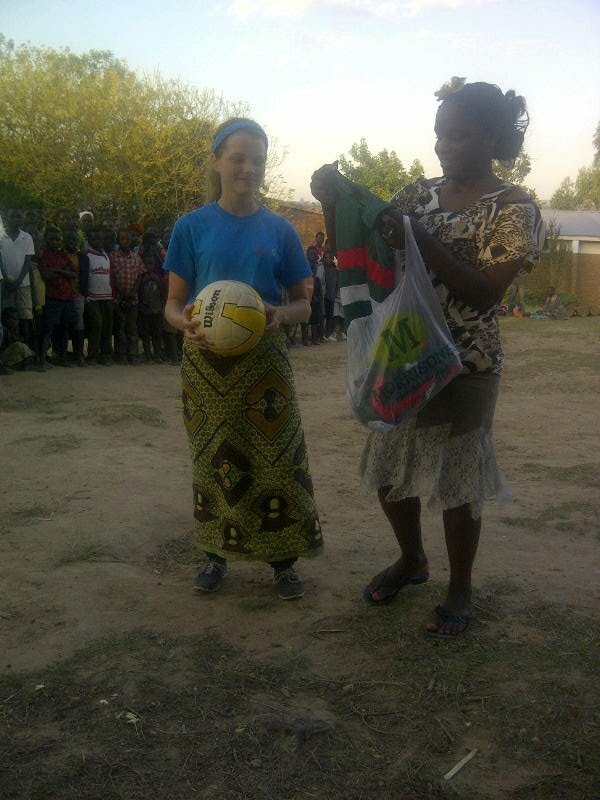 Three local girls then came to braid the team's hair, which was followed by a laid back afternoon of reading, painting and diary writing. A little later some dancers and drummers came to teach the girls some Kudu dance moves. Apparently this was in honour of Sarah as she was desperate to learn! Miranda and Charlie were naturals and both Katie's proved to be excellent drummers! On hearing the noise, the locals came to join in! Back to work on site today... More soon. On the building site today! 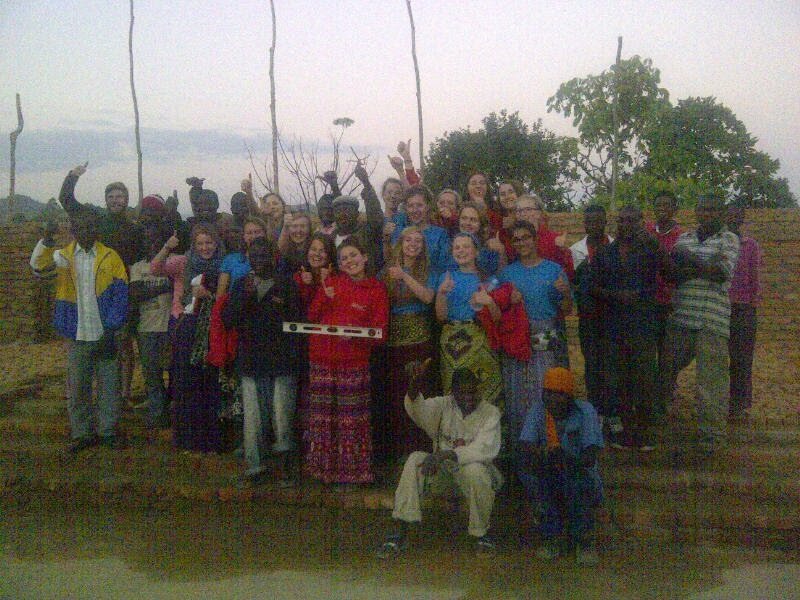 Team arrived safely in Malawi!